Margaret E. "Maggie" Zwilling Lasher, 90, of Erie, died on Wednesday, October 10, 2018, at Fairview Manor. She was born on April 6, 1928, in Summit Twp., Pa, daughter of the late Carl and Susan Eller Zwilling. 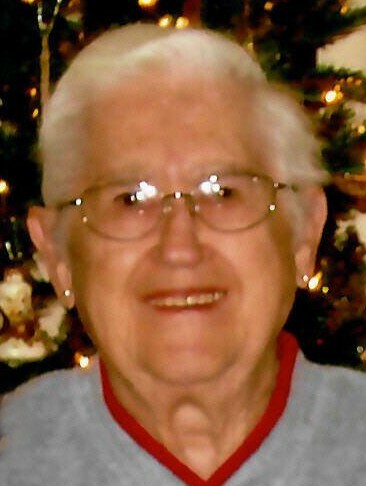 A 1947 graduate of Academy High School, she was a member of the Siebenbuerger Club, enjoyed fishing, baking and cooking, and especially loved spending time with family. In addition to her parents, she was preceded in death by her husband of 51 years, Robert L. Lasher in 2003; two brothers, Milford and Charles Zwilling; and a sister, Beatrice Zwilling Carlson. Survivors include two sons, David Lasher and wife Pamela of Erie and Daniel Lasher and wife Vicki of McKean, Pa.; a sister, Christal Zwilling Reichert of Erie; four grandchildren, Eric Lasher and wife Stephanie of Woodlawn, Va., Lindsey Klins and husband Jason and Nathan Lasher of Erie, and Erin Lasher of Mechanicsburg, Pa.; four great-grandchildren, Connor, Madyson and Allyson Lasher of Woodlawn, Va. and Elenore Klins of Erie; and several nieces and nephews. The family would like to express a special thanks to the staff of Fairview Manor for all the wonderful care given to Mrs. Lasher. Friends may call Friday 3 to 7 p.m. at the Scott Funeral Home, 2104 Myrtle Street and are invited to a service there Saturday at 10 a.m. with the Rev. Dr. Thomas E. Hoeke of Summit United Methodist Church officiating. Burial will be at Laurel Hill Cemetery. Memorials may be made to Summit United Methodist Church, 1510 W. Townhall Road, Erie, PA 16509; or to Sterrettania Alliance Church, 6750 West Road, McKean, PA 16426.